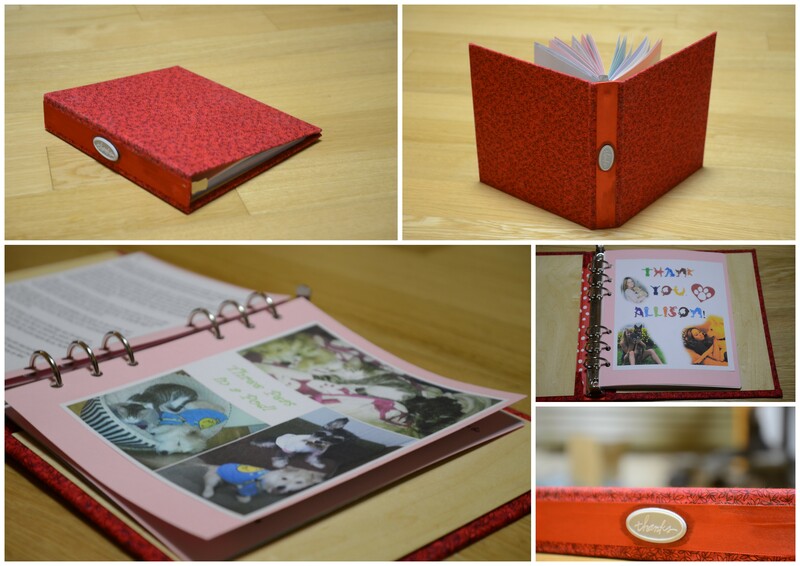 The last few handcrafted books I’ve made have been for joyous occasions: celebrations of friendship, presents for mothers-to-be, a token of love for my boyfriend (now husband)… But this gift was truly a bittersweet undertaking. I spent today volunteering at Asan animal shelter (where I adopted my first dog, Webby). I just got LASEK surgery done last month, so I wasn’t planning to volunteer at the shelter for at least a few more weeks–but I simply couldn’t miss today’s trip. It was the last shelter trip for my friend Allison, one of the most amazing animal rescue advocates in Korea. She’ll be heading back to Canada tomorrow to begin the next chapter of her life, but there are so many here in Korea (human and canine alike) who will miss her dearly!